A pioneer in the field of integrative medicine, James M. Greenblatt MD has treated patients with complex behavioral and mood disorders since 1990. He has dedicated his career to providing patient-centered care and educating his colleagues on integrated psychiatry. 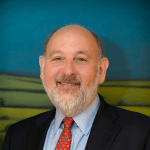 Dr. Greenblatt currently serves as Chief Medical Officer at Walden Behavioral Care in Waltham, MA and is on the clinical faculty at Tufts University School of Medicine and Dartmouth College Geisel School of Medicine.